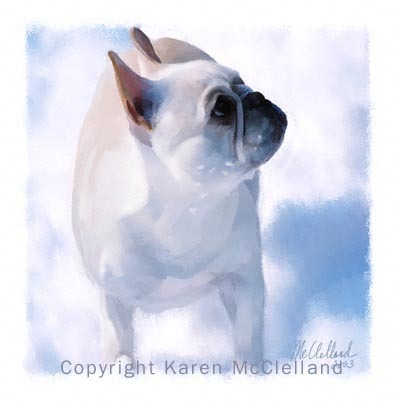 French Bulldog limited edition art print, dog painting done by artist Karen McClelland titled "French Ice Cream"
"French Bulldog dog print titled French Ice Cream"
What incredibly expressive faces this breed has. 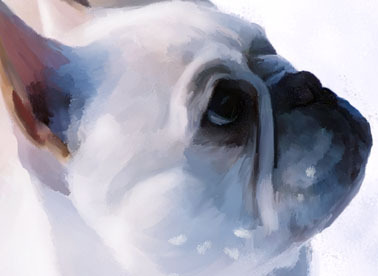 I loved painting the play of colors on this dog in the bright snow. Image size 13" x 13"